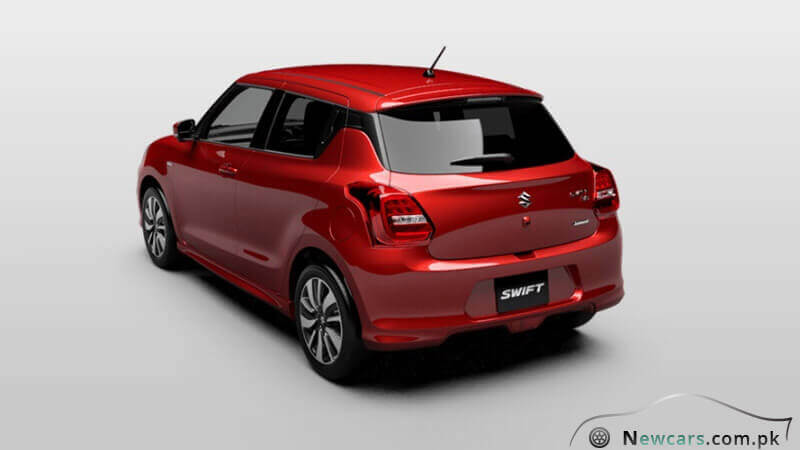 As you drive the young and energetic Suzuki Swift, you experience the same feeling of “youngness” in yourself. 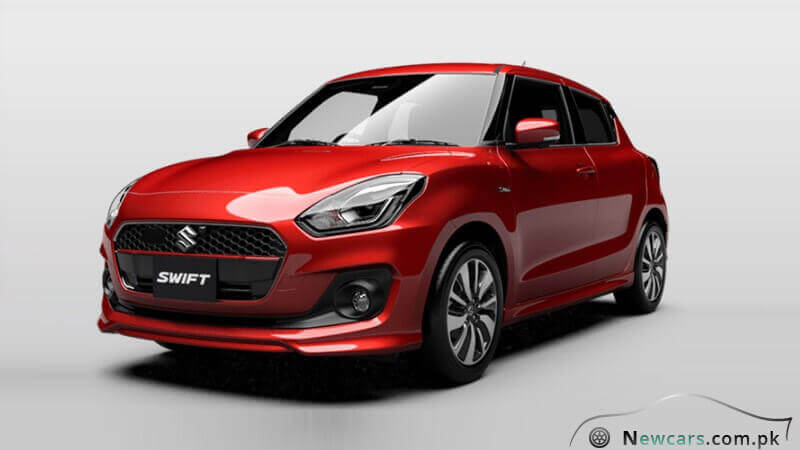 Widely considered as Suzuki’s best compact car ever, the new Suzuki Swift 2018 is a car for passion lovers. 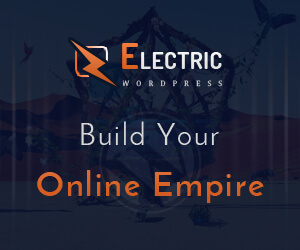 Though small in stature, it looks so bold and confident. The very looks of the car turn heads. What makes you the center of attention on the road is the solid and muscular body of the swift set to command the real road presence. The car looks impressive even in the pitch-dark environments as the LED headlights light up the night. Here it won’t be an exaggeration to say that if you already have an experience with Swift, you must be sure to fall in love all over again with the latest 2018 model. 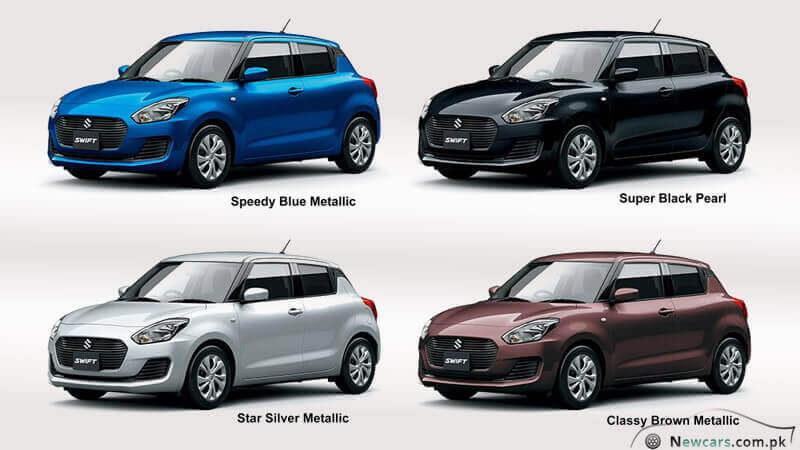 The Suzuki Swift 2018 price in Pakistan is different for each of the four available variants. The first generation of Swift appeared in the year 2000 as a modified version of and replacement for Suzuki Cultus. It was powered by the new generation of M family engine featuring the inline-four technology. It was made available in both the three-door and five-door hatchback body designs. Also the potential buyers were given the option to choose from front or four-wheel drive and five-speed manual or four speed automatic transmission systems. Newer generations of the car were launched subsequently, with the latest 7th generation appearing in 2017 in the international market. With success stories from across the world and offering an affordable package for Suzuki Swift price in Pakistan, the compact and stylish car made its way to Pakistani market in 2010. 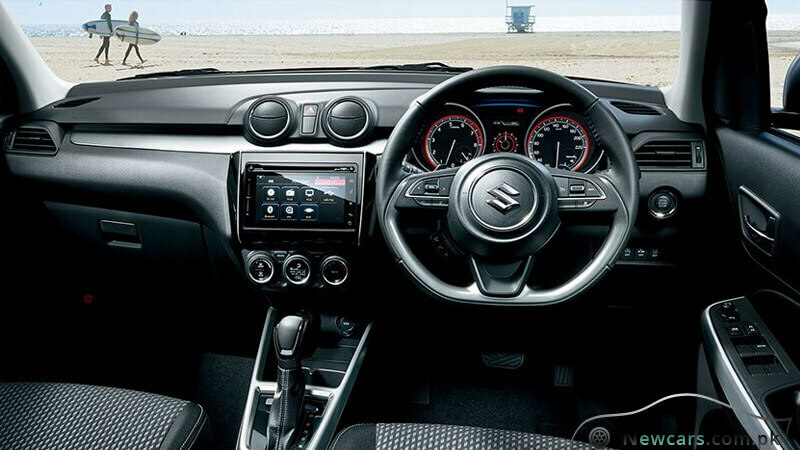 Owing to the success of the radical program of innovation, initiated by the Suzuki designers and engineers, Suzuki is hailed as one of the leaders in the world in the compact car segment. And the latest Swift is an example of the youthful innovations by the company. In Pakistan, the history of the Swift is short but it has a success story to tell. What earned Swift immediate appeal and success in the country? 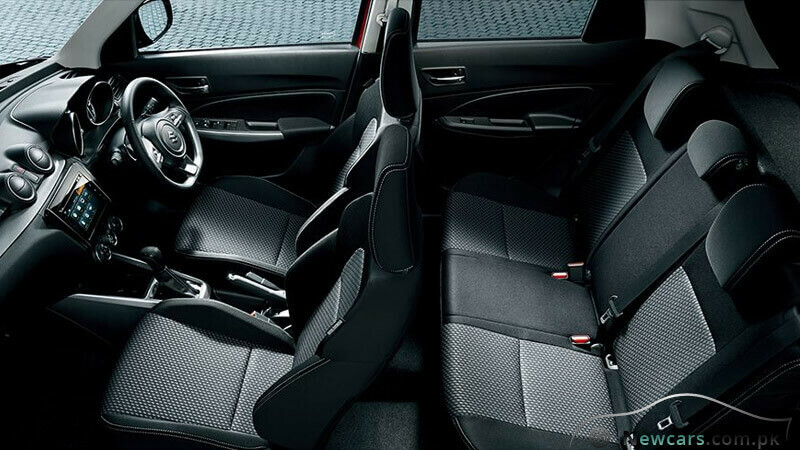 It is probably due to great performance, luxurious interior, driving comfort and price efficiency. Deep & Strong Pearl Red: The deep and strong Pearl Red Metallic color of the Swift signifies power and strength. The color is also associated with energy, desire, determination passion. Neutral & Balanced Graphite Gray: The neutral and balanced Graphite Gray Metallic offers a beautiful blend of black and white. Mostly used as a corporate color, it gives the car cool and conservative appearance but is unable to stir strong emotion. Solid White – The Color of Purity: Known as the color of purity and kindness, the solid white carries the complete energy of light. It renders the Swift coolness, calmness and clarity. The Precious Silky Silver: The Silky Silver color variant is meant to contribute to the already precious and sophisticated style of the car. It also gives your family car modern and futuristic appearance. Soft and Calm Sand Beige: The soft and calm Sand Beige Swift, offered against the same affordable Suzuki Swift 2018 price in Pakistan, exhibits an enhanced touch of luster, pleasantness and pureness. The appearance also exudes a sense of simplicity, elegance and endurance. The Sporty Phoenix Red: Do you want to give your car a sporty feel? Go for the Phoenix Red Swift. The Phoenix Red signifies sportiness, excitement and strong spirit. It also serves as the symbol of energy, passion, creativity and the strong desire to something special.